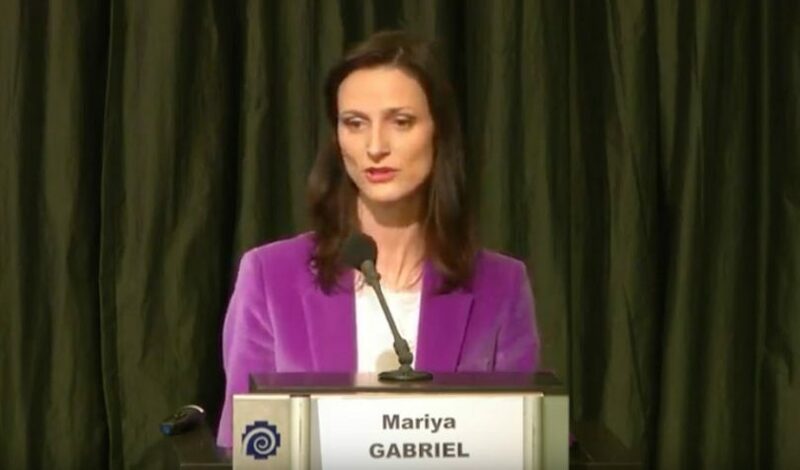 Yesterday the European Commission hosted the launch of the International Association of Trusted Blockchain Applications (INATBA) with a speech from the Commissioner for Digital Economy, Mariya Gabriel. The group aims to create a forum where regulators and policymakers can interact with blockchain and distributed ledger technology (DLT) developers and users. The organization has been planned for some time and has more than 100 participants from the enterprise blockchain and public blockchain communities. Founding members include Accenture, Consensys, Guardtime, IBM, IOTA, R3, Ripple, and SAP. From the financial sector, there is trade finance network we.trade as well as Barclays, Spanish Bank BBVA, Italy’s Intesa SanPaolo, and two German stock markets Deutsche Boerse and Boerse Stuttgart. The group has several goals. Firstly, to maintain a dialogue between public authorities and regulators with the ultimate aim of converging global approaches to regulation. Secondly, to promote an inclusive governance model for blockchain and DLT infrastructures. The third is to support the development of interoperability. And finally to develop sector-specific guidelines. Although the European Commission facilitated the INATBA, its aims are global. So far, outside of the EU, there are members from Canada, the U.S. and Japan. In his blog post following the event, Roberto Viola Director General of DG Connect at the European Commission spoke about the drive to expand globally. But he also outlined the need for speed.